This winter, brides have a special reason to rejoice! 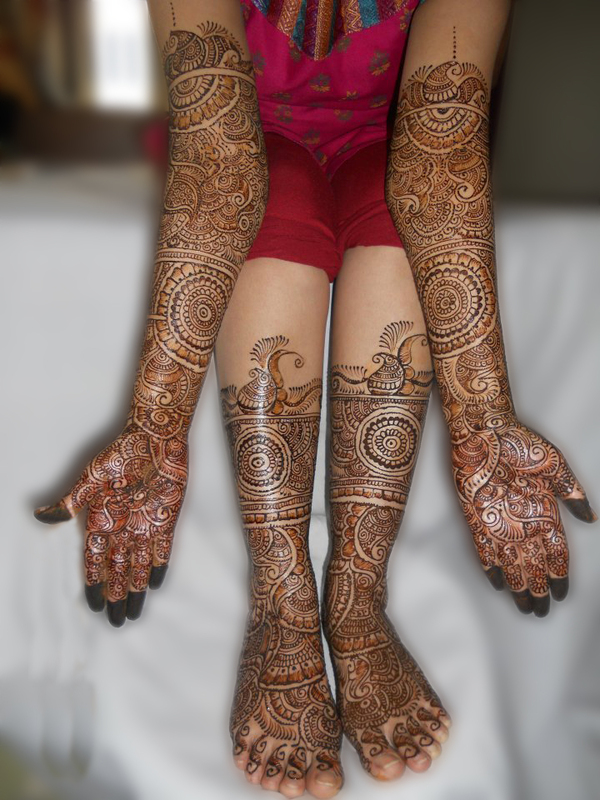 We have handpicked best winter inspired mehendi designs for you! Temperatures have dropped down to one digit, the cold wave is here to stay for sometime. And you are just a couple of days away from your big day. Preparations are on in full swing, its time now for the various ceremonies and rituals to begin. 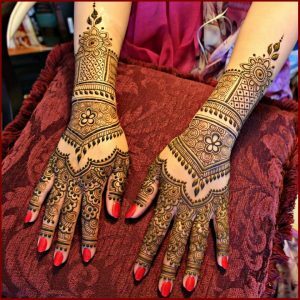 While you are excited about all that is going to unfold, there is sure to be anxiety how you will tide over the mehendi ceremony in this chilling cold. If you follow some basics to keep yourself warm, you will surely enjoy this part of your wedding ritual. 1. Nowadays the mehendi that comes in the market doesn’t really require the honey-sugar juice application to stay put. So just avoid it as it also can make you feel cold. 2. 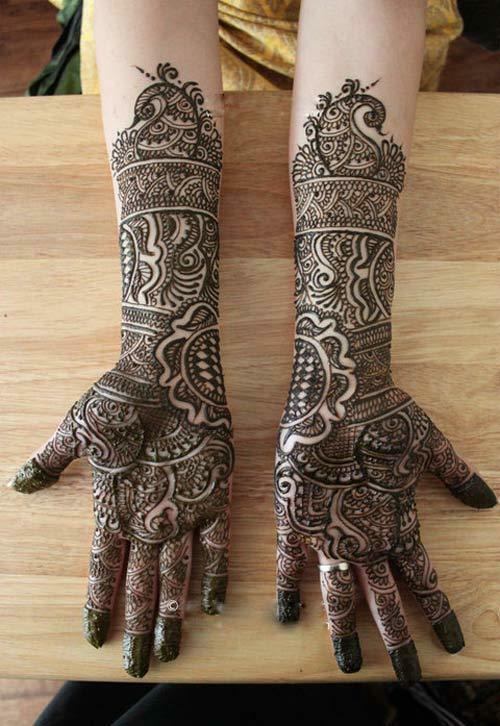 Since it is very cold, the mehendi will not dry quickly. You can either use a blower or a heater to dry it, or sprinkle talcum powder as it absorbs the moisture pretty fast. 3. After the mehendi dries, put some cloves on a tawa (pan) and heat it. Hold your hands over the fumes over the tawa. 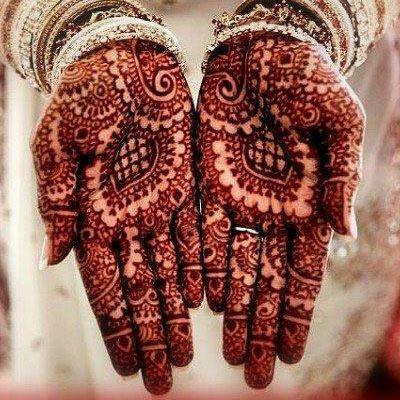 This will help you to feel warm as well as enhance the color of the mehendi further. 4. After you remove the mehendi, massage warm mustard oil all over the mehendi. This will keep your hands and feet warm along with further enhancing the color. 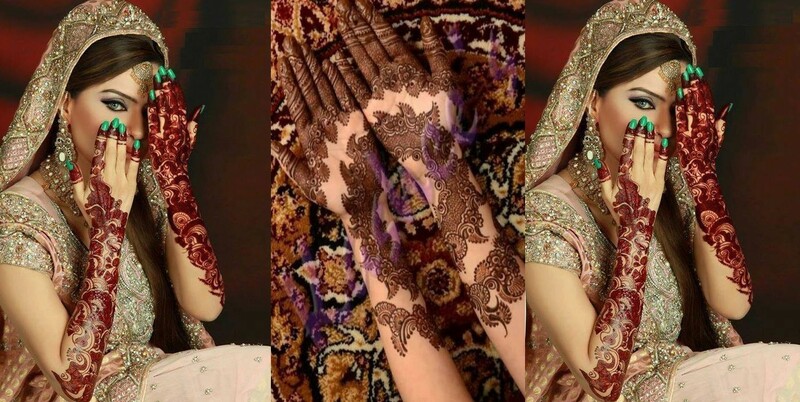 Now that you know how to keep yourself warm and cosy after the mehendi application is done, take a look at some of the irresistible mehendi designs. That we have for you. From the intricate floral designs to geometric patterns, bride and groom designs to peacock motifs, Arabic to Indo-Arabic motifs, Pakistani designs to Rajasthani ones – there are many interesting designs to choose from. If you are the experimental and the bold look kind, you can add colors or glitter for that extra look. 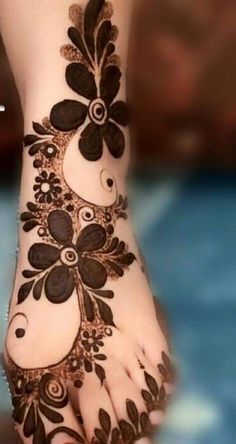 Whatever you decide upon, make sure the mehendi artist you plan to hire is good at the job and will not make you sit too long.